MashButtons: ZEN balances the Force with trio of new Star Wars Pinball tables. 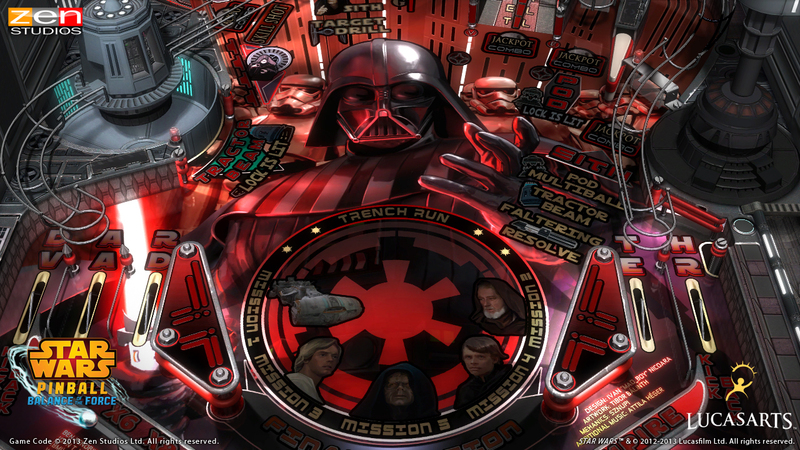 ZEN balances the Force with trio of new Star Wars Pinball tables. Zen Studios has added another trio of tables to it’s already large list of beautiful and addicting pinball tables, that go by a number of names depending on your platform of choice. 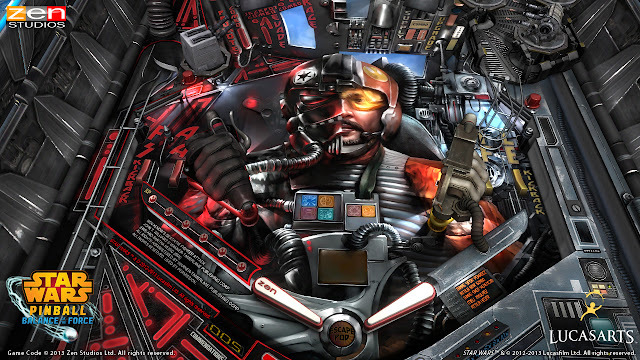 Whether you have heard it referred to Star Wars Pinball, Zen Pinball 2, or Pinball FX2, one thing rings true for all three games and that is an amazing looking pinball game with realistic physics, 3D support, and a long list of available tables. 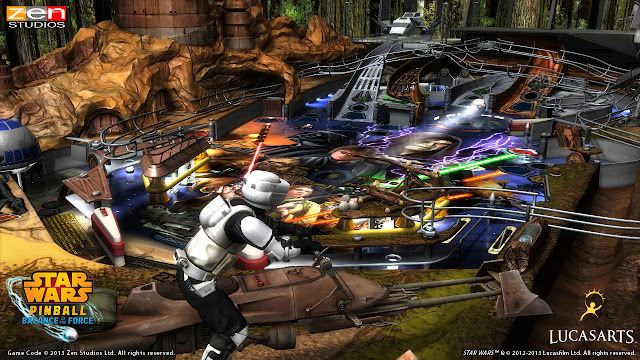 In this release, the tables being provided are Darth Vader, Starfighter Assault, and Episode IV: Return of the Jedi, all of which contain the famous moments from the legendary series. Now that I have topped my friends’ leaderboards, it is time to pull myself away from the sci-fi arcade goodness. Ever since the release of the Street Fighter 2 table on the original Pinball FX game, I was hooked as I have always loved playing Pinball in the arcades and have tried the numerous attempts to bring the nostalgic gameplay affordably into the home, unfortunately few come close to succeeding. Zen Studios is one of the few, and with the Balance of the Force tables to add to the Star Wars Pinball collection, they have once again outdone themselves. All three of them look amazing, each with a completely different look and layout, playing just as smoothly as they look. Of the new tables, I preferred the Darth Vader table as it had fun missions and was what I felt was the easiest of the three to rack up millions. My only disappointment was with the online community, as it is hard enough to find an online match when I own most of the offered tables, I have yet to find anyone online playing Star Wars Pinball when I was playing. When playing in 3D, I noticed there was a delay recognizing when using the flippers which lead to a number of lost balls and quickly abandoning the multidimensional romp. Zen Studios does it again and provides a fun and addicting experience with the Balance of the Force tables and hope that this is just the beginning of a long list of Star Wars themed tables like we have seen with the Marvel tables. Zen Studios’ pinball games are available on just about all gaming and mobile platforms and once again I had requested my review be performed on the PlayStation Network as is it playable on both the Vita and PS3 from a single purchase. My issue with the online multiplayer has been with all tables, not just the tables in the newest release, if there were additional network options to identify how many players online and which tables are being played, it may help with endless wait times trying to find an opponent. Star Wars Pinball: Balance of the Force is available on just about all consoles and mobile devices with exception to the iOS at the time of this review.